ILEX 6.8" f:5.6. Bausch & Lomb Incorporated 8.25" f/4.5 1:1 mag. Fuji Photo Optical Co. 583032. 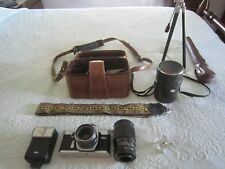 Everything works, lens is free of mold, includes a nikon leather case! Nr 2.100.000. In Very Good, Complete Condition. USED for Recelling. My tech can recell this if you want. It is in very good condition. and is based on representation of item. Plus... NEW exterior Leatherette covering!!! Shutter speeds from 1 to 1/2000 sec. plus B. Flash sync at 1/125. Good battery. ALPA SI 2000 I ALPA F1.7 50MM MACRO I M42 I Rare Camera!! I bought this at an estate sale.I got two of these mags one is bigger then the other this is the larger one. I bought this at an estate sale.I got two of these mags one is bigger then the other this is the smaller one. Polaroid spectra system camera with 2 packs of unopened film (20 photos) & a case! This camera appears to be working though I have not tested it with the film. It is cosmetically sound with virtually no sign of wear and tear. Make an offer! No returns, this is an AS IS sale. And other Kinoton projectors. The aspect ratio of this aperture plate. Zeiss Ikon Ikonta ~ Looks Good! Check Pics! -The larger original case has been taped on thr bavk so it acts as a hinge. I'm not sure who dif this, but it actually makes it open & close pretty well. Communication is key! From Captain Jack's Exakta Collection! There is a moderate amount of haze within the lens. This will affect image quality if used as is. There is no fungus, separation, or loose debris within the lens. 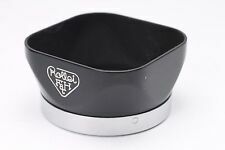 New ListingRare Vintage Polaroid SX 70 Tele 1.5 Lens Hard to Find Ex Nice! Crystal clear. S h i p s f a s t ! LEATHER CASE IS IN VERY GOOD CONDITION - ONE LITTLE SCUFF. I AM CONCERNED ABOUT LEATHER DRYNESS AND POTENTIAL TO CRACK, BUT IT HASN'T CRACKED. SHUTTER WORKS. IT IS LOADED WITH FILM. 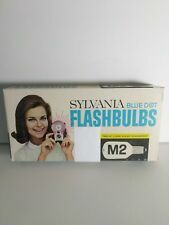 FLASH UNIT INSTRUCTIONS VERY GOOD CONDITION. New ListingKyoei Kuribayashi (M42 mount) 35mm F3.5 Lens! Requires modified camera and filter(s) for UV photos. 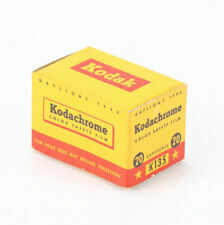 KODAK PETITE AUTOGRAPHIC, GRAY. BELLOWS HAVE RESISTANCE AND I DO NOT WANT TO FORCE OPEN. COMPLETE WITH SLIGHTLY WORN BOX, INSTRUCTION BOOK AND CARRY CASE. 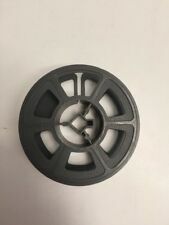 Universal focusing mount. We are confident we can reach an equitable solution. WE WILL ANSWER AS QUICKLY AS POSSIBLE. BAWDY BOLEX. Model: B8LBuilt in 1958. UV starter kit. You will need a full-spectrum camera. Now you are done. Twist the eyecup to desired position. Careful not to stab yourself with the screwdriver or burn yourself with hot water. 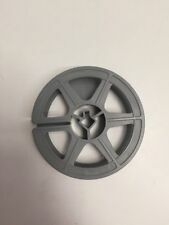 OEM HIGHEST QUALITY! RUBBER EYECUP NEW. BLACK EYECUP. This Pentax is a rare find. 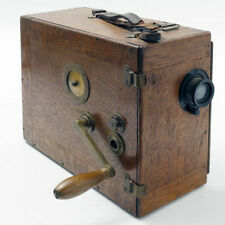 This one has a hot shoe external light meter. The meter has a minor crack on clear top, however it works very well. The mirror has some ware from rough cleaning,however the view finder is still bright as you can see from my picture. As you look through the pictures you can see that it has minor dents and the lens has some small sust specs. These dust specs are so small they do not effect image quality. Shutter speeds not tested but do seem to work fine. Probably from early 1970''s 4o early 1981. The neck strap is very nice heavy meatal jewelry chain. Its very fancy. Thanks for looking . This sale is final, no returns. 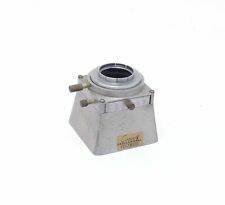 Series 4.5 filter retaining ring is included. The focus is a bit stiff, but moves smoothly throughout its full range. 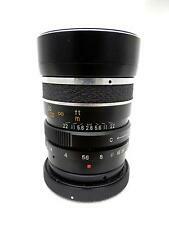 Vintage Motorized Fujinon 10-140mm f/1.7 N14x10B FUJI PHOTO OPTICAL Lens. Motorized Zoom Lens. FUJI PHOTO OPTICAL. Tiny to the point where they are visible to the naked eye, but most likely not visible in any image produce thru the lens. It has not been electronically tested. 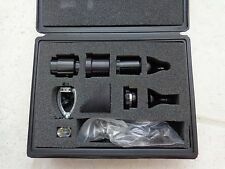 Maxxum AF Lens 50 Japan. All new sealed and never opened but all expired. This is an amazing lot of film if you're a filmmaker. Powers up and looks to be in very good condition. Sold as is. Found at an estate of a friend, a WW2 vet that was an Air Force photographer. Camera is untested. Cosmetically it's in really good condition. The top piece of leather has shifted a tad as you can see in the photo. Comes with Polaroid case. Please see all photos. Free Shipping. Mi rr or i s dirty. S om e scratcheso n le ns c ov er. Estatef in d. C am er a ha s no t be en cleaned. Solda s is. Se e detailedpictures fo r condition. Neat little bit of (1950s?. ). 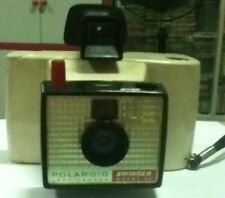 Rare Vintage Polaroid SX 70 Tele 1.5 Lens Hard to Find Ex Nice!